A group of strangers invited to an isolated island learn that they all have one thing in common: they caused someone’s death in the past and were never punished. Soon they’re being killed off one by one, and must discover the identity of the murderer in their midst before it’s too late. 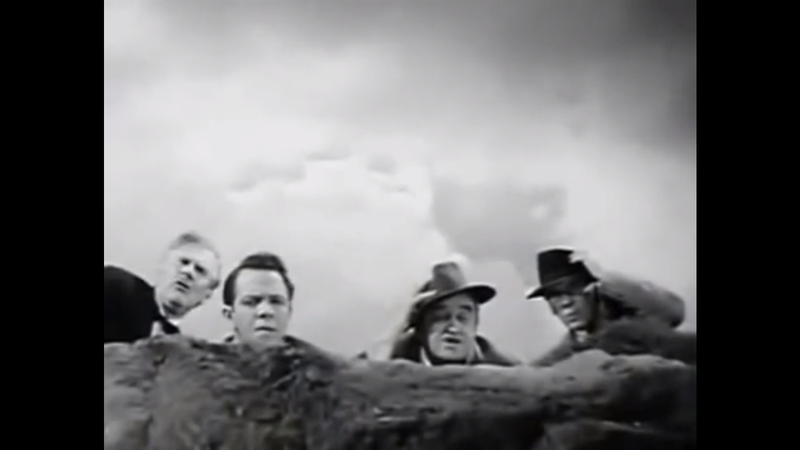 As Peary notes, this “highly entertaining adaptation of Agatha Christie’s Ten Little Indians (called Ten Little Niggers in England, as was the film)” features “an unbeatable cast” (most notably Barry Fitzgerald, Walter Huston, Judith Anderson, and Louis Hayward), and benefits from both a “witty script by Dudley Nichols and light-touch direction by Rene Clair, who effectively keeps the multi-murder story from becoming bleak” (in part by making “good use of lively music”). He points out that while “it’s fun trying (and most likely failing) to figure out the murderer’s identity… this mystery is just as interesting the second time around when you can watch the killer closely and see how cleverly we are being manipulated by Christie and the filmmakers”. I’m in complete agreement with Peary’s assessment of this enjoyable, surprisingly light-hearted “Old Dark House” mystery — based on the best-selling mystery novel of all time (though its ending was changed to that of Christie’s stage play of the same name). 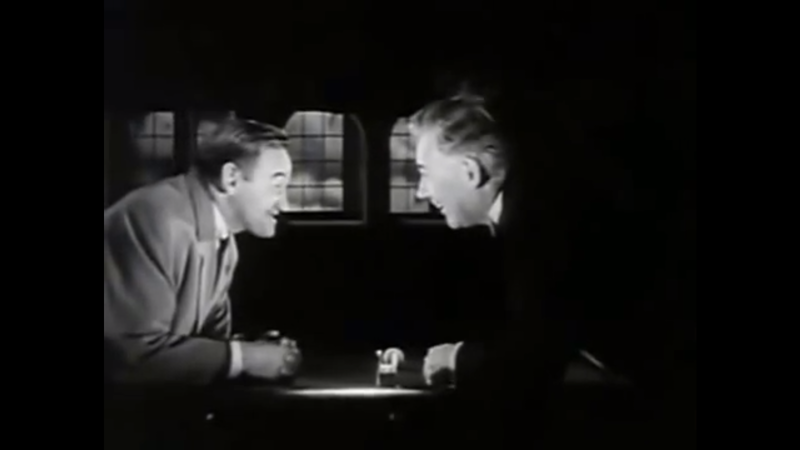 The characters are all smartly cast and play nicely against one another; this is truly a seamless ensemble piece, with no one performance standing out above the other (though the interactions between Walter Huston as Dr. Armstrong and Barry Fitzgerald as Judge Quinncannon are especially fun). Clair’s creative direction — beginning with the cleverly shot silent opening sequence on the boat, and extending through the exposure of each murder — is seamlessly fluid, keeping us consistently visually engaged, and on the edge of our seats in nervous anticipation. Note: Film fanatics will likely recognize that this movie serves as a forerunner — both thematically and tonally — for the cult satire Murder By Death (1976); they would make a fun double-bill. Yes, as an enjoyable example of the “Old Dark House” genre. 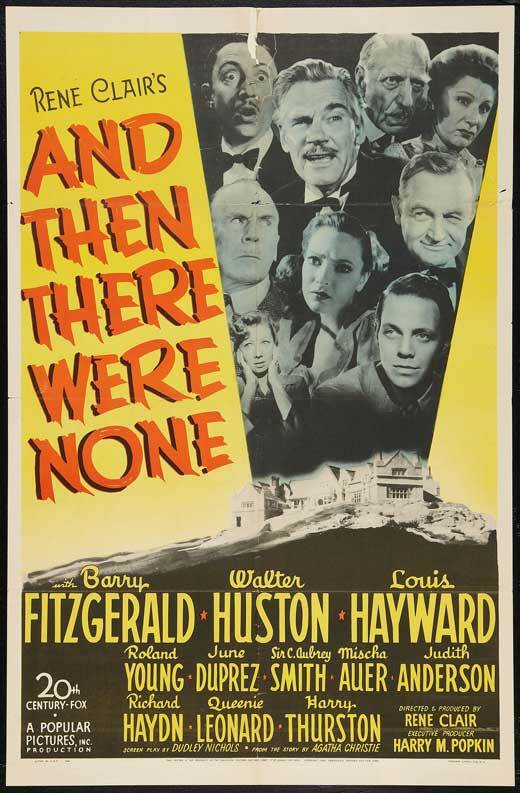 “And Then There Were None” is practically perfect in every way. Everyone in the ensemble gets the chance to shine. I did not know that “Murder by Death” was a “cult satire”. I practically have that movie committed to memory so now I wonder what that makes me. Hmmm… I think your love for “Murder By Death” makes you both a dyed-in-the-wool film fanatic and all-around person-of-good-taste. Some cult movies are just begging for memorization. A once-must at least, as a very satisfying whodunit. I once saw a summer stock production of the Agatha Christie play (called ‘Ten Little Indians’). 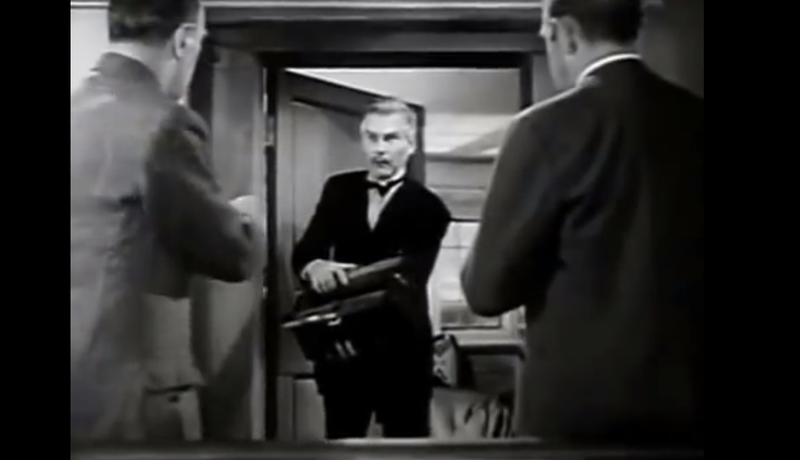 As I recall, it is a one-set play but, since the film allows us to follow the characters around inside and outside the house, the mystery air does thicken. Of course, if one takes it seriously at all, it unravels: the characters know early on that they are going to probably be killed one by one – yet they *never* stay together as a group in one room! ~which is clearly what is called for. ~but, then, of course, there would be no story and no suspense. It had been a few years since I’d seen this last, and I had forgotten who the culprit is. 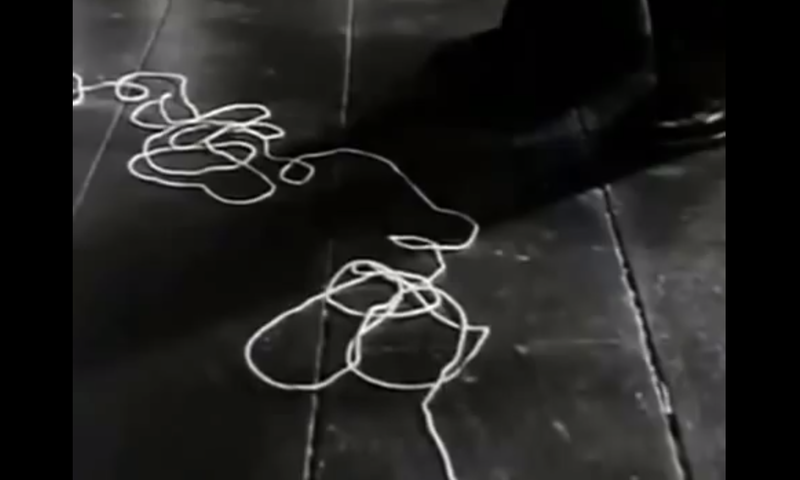 Things are so nicely convoluted that it’s not that hard just allowing yourself to be thrown off. All told, this tale of suspicion (more than murder, really) is a keen reminder that people can suspect others of all kinds of things – whether they are true or not. So the story also serves as a blueprint for the all-too-common tendency in humans to wonder about the motivations of others…especially when they are murky.